At the conclusion of the discussions, S.P. 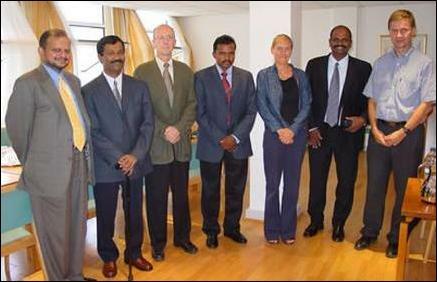 Thamilselvan, head of the political section of the LTTE, Col. Karuna, U.S-based advisor Mr. Rudrakumaran, and Head of the LTTE Peace Secretariat Mr. Puleedevan visited the Norwegian embassy in Paris on the invitation of Norwegian Deputy Ambassador in France Mr.Dag Werlo Holter, sources said. 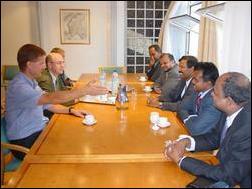 Members of the LTTE delegation are expected to visit Switzerland before returing to Northeast, sources close to the delegation said. Fellow, Centre for Petroleum and Natural Resources Law, University of Dundee, Scotland. 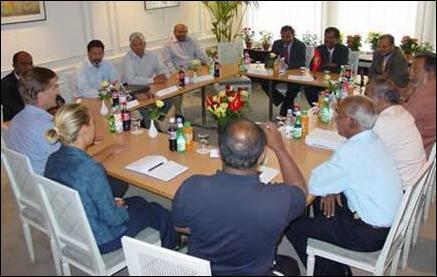 Members of Canadian Forum of Federations (a group of Canadian Constitutional experts) had previously visited Kilinochchi to hold lectures in Federalism to LTTE's political cadres.